The idea of eating food made out of the back of a vehicle may sound a little shady. But food trucks are more popular than ever, especially here in Indianapolis. Whether you're new to the area or looking to move soon, you'll definitely want to check out our divine dining that drives! What's with eating food out of a vehicle? Believe it or not, food trucks go back to just after the Civil War with the invention ofchuckwagons. But the more modern version of food trucks we're familiar with have swept the nation from West to East coast, including both rurl and urban areas. This street food phenomenon extends beyond just Taco Trucks. Menus run the gamut of ethnic and fusion cuising. Often focusing on limited but creative dishes at reasonable prices, they offer customers a chance to experience food they otherwise might not. How do I find food trucks? If you're wanting to try out these gems, you can view a live map of them here thanks to Roaming Hunger. Around Indy also publishes street locations where they're available. Also, you can follow @IndyFoodTruck, tracks food truck locations on Twitter. If you're wondering which ones are the highest rated, you can read reviews on them at Urbanspoon. If you’re hankering for a modern take on comfort food classics, head to the Scratch Truck and ask for the Scratch Grilled Cheese. If that’s not cheesy enough for you, try the Mac Genie food truck, which dares its customers to compete in the famed Monster Mac eating challenge. For some Italian flavors look no further than the Little Eataly food truck. You’ll be sure to spot its purple exterior from a mile away, and you’ll be glad you did once you’ve tasted their Ravi Fritti (breaded and cheese filled Ravioli). 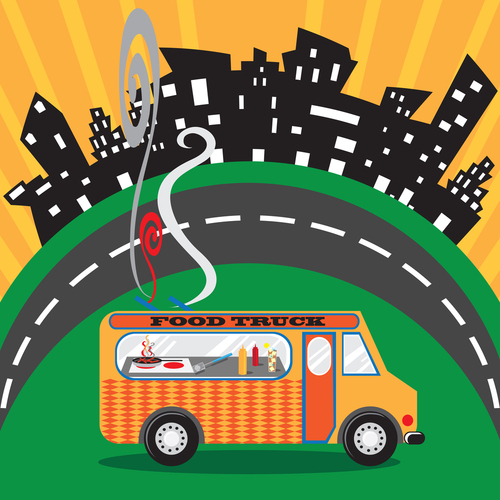 Enjoy tasting the fun food truck flavors of Indianapolis! What are your favorite local food trucks? Comment below!